The crew in Japan keeping HMCS Calgary mission ready. Girls Can Fly Too. Abbotsford B.C. Please check out the Council Bulletins page for the first bulletin of 2018. Phoenix is a name that somebody decided to use for our customized version of PeopleSoft, and PeopleSoft runs over top of the Oracle database repository (the engine under the hood). Every single installation of PeopleSoft is customized for the client organization to specifically reflect the business rules of that organization. In my decades of working with Oracle products I have never seen an application with as many business rules to be programmed as our Canadian government Phoenix application (over 80,000 rules to build in), although I have worked on projects with much bigger budgets. From the get-go, this was an extremely complex undertaking. Many of these business rules were not (and could not be) automated in the older RPS system. Furthermore, support of the old system and mainframe was an inevitable problem. Pay transformation was to bring us into current day technology and automate many activities. These automations remain highly dependent on accurate information being put into the system correctly and promptly by departments – as much as that can happen it reduces delays and errors – we employees and the CAs are dependent on that, amongst other things to ensure we do all we can to make things work. However, the bigger picture of the Phoenix project is that it was stripped down too far to fit into the Harper governments ideal budgets, leaving us with inadequate resources for the various project phases, a buggy system, and a woeful lack of proper training. This system COULD HAVE WORKED and been a great improvement overall. Until we look at this project with fresh eyes, reallocation of some resources and effort, and proper costing and risk mitigation, any attempts to fix it will be piecemeal and be likely to fail. “Phoenix Fix” needs to be treated as a full project in its own right at this point. The new SRW Collective Agreement was just posted on the Treasury Board website and can be accessed through a link on this website on the SRW Collective Agreement page. 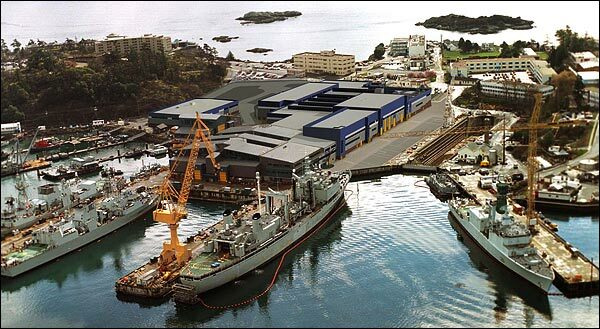 Union members employed at DND protest the recent $5.2 Billion contract awarded to Thales to repair and maintain Arctic Offshore Patrol Ships and the Joint Support Ships, and also the lack of progress in fixing the Phoenix payroll system. The SRW Collective Agreement has been signed. Please see the latest bulletin for details. Repeal of recently passed anti-Union legislation – Bills C-377 and C-525. The tentative agreement has been ratified. Please see the latest bulletin for details. Two important bulletins today: Treasury Board has just provided us with a new and final Appendix A, with corrections to the apprentice rates of pay. Please go to the Council Bulletins webpage and click on the “May 24, 2017 – Final Rates of Pay from Employer” bulletin. Also, details on the ratification vote are in the “May 24, 2017 – Ratification Vote Date and Location” bulletin. Last week, the Council Negotiating Committee returned to the bargaining table to meet with Treasury Board for the first time in a year. It was a very intense week, with sessions of over 12 hours per day. The Council Negotiating Committee is led by President Des Rogers and is comprised of the Council Executive and the Liaison Committee, which are the National and International Union representatives appointed to assist with bargaining. The week ended with a tentative agreement that was signed by Council President Des Rogers and Ted Leindecker, the Treasury Board negotiator. The tentative agreement will be presented to the Council Delegates and affiliate Unions for approval at a special meeting on Tuesday, May 2nd. If it is approved, the tentative agreement will be disseminated to all personnel working under the SR(W) collective agreement for review, and a ratification vote will be held in the near future. Dockyard Council Delegates and Shop Stewards met for training on April 10th, 2017. The instructor was Richard MacIntosh, International Representative for the Boilermakers Union. Topics included a history of the Council, familiarization with the collective agreement and how to investigate grievances. Nora Johnson, Manager of the Employee Assistance Program (EAP) at CFB Esquimalt spoke about how EAP is there to help guide employees to a variety of resources if they are having personal problems. Everyone attending increased their knowledge on how to better represent their Brothers and Sisters in the Dockyard. Bob Lacquement receives a plaque from Council President Des Rogers for recognition of his work on the Council Executive as Recording Secretary. Brother Bob stepped down from this position on February 27th, 2017 and will be retiring in May with over 43 years combined Navy and Dockyard service.